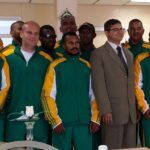 Brand South Africa today joined the nation in congratulating the Springboks for their excellent sportsmanship on the field in Birmingham as they battled Samoa in their second match of the 2015 Rugby World Cup. 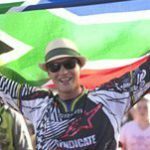 Greg Minnaar is one of the best MTB riders in the world. 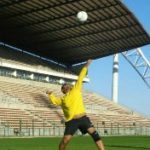 Following his 17th World Cup win this weekend in Scotland, the Pietermaritzburg rider now stands shoulder-to-shoulder with his boyhood heroes. The third round of the World Cup takes place in Leogang, Austria on Saturday and Sunday. 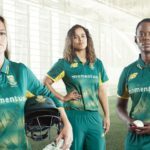 New Zealand may be entering Tuesday's ICC World Cup semifinal match as favourites, but the result will depend on which team can absorb the most pressure during the key moments, says South African middle-order batsman David Miller. 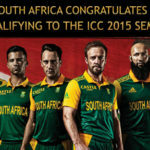 Brand South Africa congratulates the Proteas who have taken a giant step towards holding the 2015 Cricket World Cup trophy. 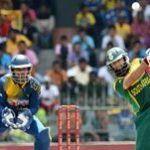 "Everybody in the team, especially the senior guys, want to be the guys to make the big plays for us - with the bat, ball, and in the field," Proteas captain Hashim Amla said ahead of South Africa's quarter-final game against Sri Lanka at the Sydney Cricket Ground on Wednesday. 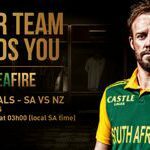 Another record-breaking knock from captain AB De Villiers saw South Africa easing into the quarter-finals of the ICC World Cup on Thursday. 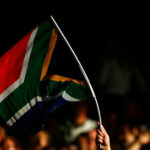 The Proteas beat the United Arab Emirates by 146 runs. 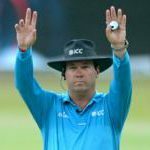 South African umpire Johan Cloete officiated his 50th one-day international match on Sunday when hosts New Zealand took on Afghanistan at McLean Park in Napier at the ICC Cricket World Cup.